Colour evokes emotion, express it with Bacò, the perfect professional color by Kaaral. 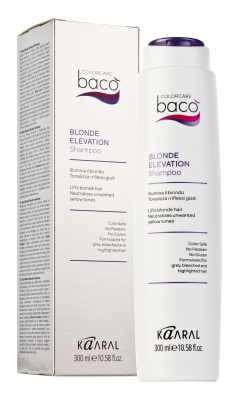 Baco leaves the hair healthy, soft with unsurpassed shine. Enriched with Hydrolyzed Silk and Rice Proteins, which are very similar to Keratin, the Bacò Color Collection offers more than 90 shades including naturals, ashes, violets, golden, coppers, reddish browns, reds and many other fashion colours for every client's need. More than 90 beautiful shades. Silkera, anti-aging colour innovation is enriched with keratin which penetrates the hair reinforcing it from inside. The formula strengthens and restructures the weakest and most dehydrated areas of the hair. Baco Silkera contains double the Hydrolyzed Silk Proteins, which is the perfect replacement for the hair's Keratin proteins. Silk proteins are hydrolyzed and combined perfectly with the rich color cream base this penetrates the hair guaranteeing flawless colour results. Silk restores the fibers of dry damaged hair. The formula has been tested on 80-100% grey hair and guarantees complete and flawless coverage. This hydrating formula, infused with Moisturizing Oils and Beeswax, deeply nourishes hair adding elasticity and softness. Lightens up to 7 levels and keeps hair protected, conditioned and healthy. 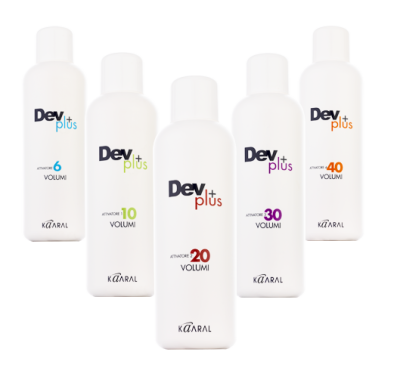 Mixing ration: 1:2 with Dev Plus 20, 30 or 40 Vol. 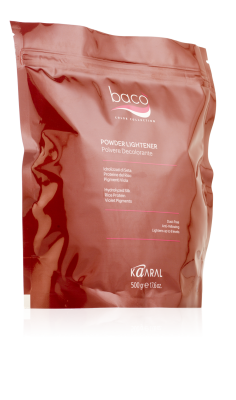 Baco Powder Lightener achieves perfect lightening results on all hair types without damage to the hair. Hydrolyzed Silk and Rice protein protect and hydrate the hair during the lightening process. It can achieve up to 8 levels of lift. The perfect colouring service for your salon. 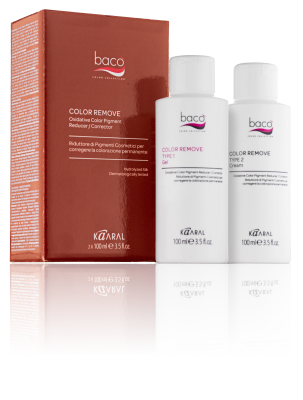 Baco's phase color remove product contains a special synergy of 2 formulas 1; gel and 2; cream with a base of precious Hydrolyzed Silk works by shrinking oxidized coor colucules back to their original [small] size. They are in turn removed from the hair by shampooing multiple times to pull them out of the hair. This process is perfect when correcting a color or when a complete color change is desired. possible with Baco post-colouring treatments. SOFT, HEALTHY, VITAL HAIR. COLORPRO Shampoo maoistures the scalp, strengthens the hair and maintains color vibrancy for bleached or color-treated hair. This creamy, luxurious, Sulfate-Free formula, enriched with Hydrolyzed Silk and Keratin, gently cleanses and improves the health, strength and shine of the hair and helps prevent color fade. It's low pH closes the cuticle layers and helps the hair retain moisture prolonging color vibrancy and preventing color fade. COLORPRO Conditioner deeply protects, moisturizes and strengthens the hair and scalp and maintains color vibrancy for bleached or color-treated hair. Enriched with Hydrolyzed Silk and Rice Proteins, COLORPRO Conditioner penetrates the hair shaft to rebuild and strengthen colored hair. It reconditions the hair while rejuvenating the scalp and extending the longevity of color as it closes the cutible layers and helps the hair shaft retain moisture. To maintain a beautiful blonde or engance gray/white hair. The Shampoo is formulated to enhance blonde hair and add tone to gray/white hair. This unique formula is enriched with Silk Protein, which provide nourishment, softness, elasticity ad shine to color treated hair. Violet pigments give greated shine to blonde shades, controlling and neutralizing brassy tones and bleached or highlighted hair. formulated to refresh blonde hair and give added tone to gray/white or yellow hair. It enhances the shine of treated hair and revitalizes highlights. Enriched with Silk Proteins and Pro Vitamin B5, it provides nourishment, softness, elasticity and shine to color treated hair. Violet Pigments neutralize brassy tones and highlighted, bleached or gray hair, giving a light hold and incredible shine.